1. A family of proprietary planting mixes that include naturally occurring soil microbes. Each mix is designed to be as close as possible to the plants natural environment. 2. 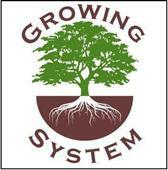 Most plants are inoculated with beneficial mycorrhizal fungi to enhance growth with minimal chemical inputs and improve plant survivability. 3. Minimal chemical inputs with reliance on biological controls are usually adequate except where the plants mortality is in jeopardy or in case the customer demands it. 4. Lot controls provide source traceability of every plant sold. Being environmentally responsible means taking special care to minimize the use of chemicals in the production of our plants. Instead we rely heavily on biological controls and nursery production practices that discourage pathogen development.